Milwaukee's own Harley-Davidson has long been what one might consider a 'patriotic' company. Their brand has been a proudly American one for as long as most of us can remember. 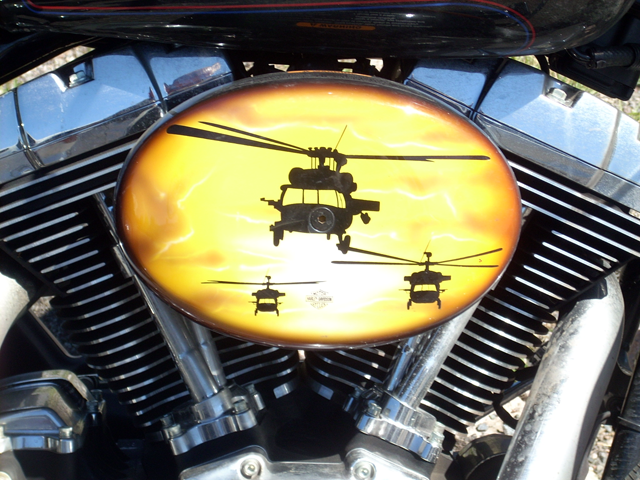 That patriotism has always extended to the military and veterans from providing motorcycles to the military (a Harley retrospective can be seen here) to incorporating veterans as riders and members. Members of the United States military deployed overseas have the unique opportunity to purchase a Harley-Davidson with special military pricing (program details here) and then new Harley riders in the military are automatically added to the Harley Owner's Group for free. Not to mention all the special badges and accessories for bikes to show they are a veteran. But Harley goes beyond that to help veterans as they return to civilian life. On this Veteran's Day, their work with the DAV - Disabled American Veterans - should be appreciated and commended. Beginning in 2007, the Harley-Davidson Foundation and the DAV have come together to help veterans move onward. Harley's Heroes brings DAV's mobile service offices to Harley-Davidson® dealerships and other locations across the USA providing important counseling and assistance to veterans and their families to access the full range of benefits available to them. This way the many veterans who ride Harleys, or even just live near a Harley dealer, can get access to the benefits without having to travel to a VA office which may not be nearby. Since 2007, the Harley-Davidson Foundation has committed $2M to this effort - and successfully helped tens of thousands of veterans along the way. We should be proud that such a prominent local business, one that is connected to and defines Milwaukee and men, supports such a great cause and remember to thank any vets you know or meet today and any day.